I know it's a somewhat elitist and lucky problem to have, but I honestly have trouble handling my kids' toys! I guess I don't realize it, but I do end up getting them quite a few toys and puzzles and just stuff. Somehow, even though I don't think of myself as an indulgent parent, some of those toys manage to tempt even me - so I can't really blame the kids for getting tempted and begging till I give in! And then, of course, there are grandparents, who were put on earth to spoil their grand kids silly. A few days of non stop playing with the new toy later, the kids are on to something else and I'm usually left trying to take the toy apart and storing its various components in boxes and zip loc bags and baskets. A couple of months ago, I chanced upon a new toy library that has opened in Gurgaon, that promises to solve some of this problem for me. 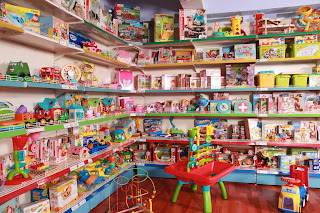 It's called Toypedia and is located near Galleria at the Cross Point Mall. I've been using it for the kids for a couple of months now, and must say, have been very pleased. My kids still think it's a toy shop and are amazed at how willingly I let them take whatever they want every time I go there! 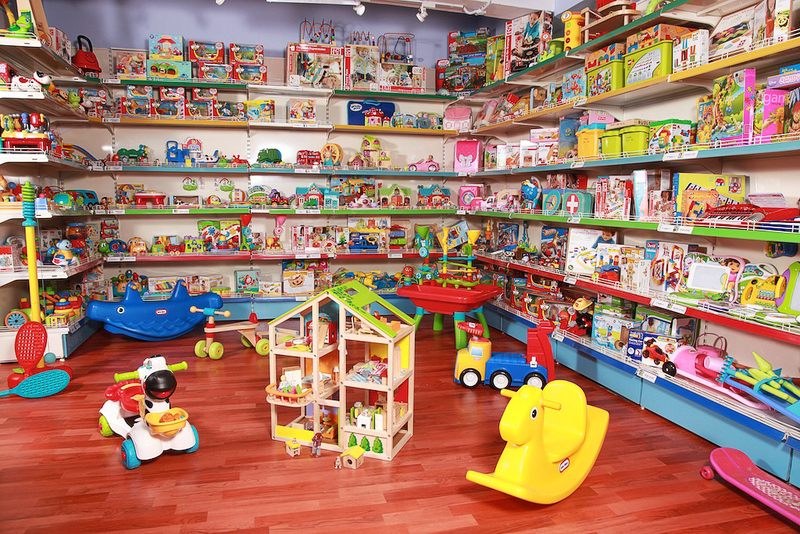 The idea is simple - they have a large collection of toys, puzzles, and books. You sign up, pick a plan, and start borrowing - just like any library. 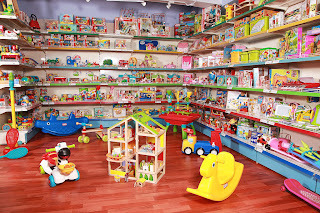 Your choice of plan will determine what combination of toys and books you can take home. The simplest plan allows you to take one book and one toy each week. The thing I've liked the most about Toypedia so far is that not only do they have a large collection of very good quality toys, they also haven't created any levels in their collection. All toys are equal - it's not that you have to have a more expensive plan to be able to borrow the more expensive toys. This is great for the kids because they don't need to hold back or be told that they can't take something - they get to pick whatever they want without restrictions. One of my original concerns had been about cleanliness - I wanted to be sure the toys were cleaned properly each time they were returned by someone. So far, I've been really happy with what I've seen. They have a pretty thorough cleaning process, which includes dry cleaning, wet cleaning, and drying with a hair dryer. Another good thing is that it's also available online - though its fun to actually visit the store with the kids and have them pick out stuff they like, one does have the option of returning and selecting online, if you're not able to visit. They deliver free the next day. Cost wise - seems worth it so far. The simplest plan is Rs. 600 per month, which gives you a toy and a book or a toy and a puzzle each week. Do check the place out if you're looking for an option that lets your kids enjoy toys and puzzles for a few days at a time without having to worry about storing and keeping and giving away the toys that cost a lot of money to start with. Check out their website and Facebook page, if you'd like to take a look at the collection. As always, do let me know your experience if you do end up trying them out. The world class blogs and very nice your post. Thanks for sharing this good information. Panchsheel Pratishtha Noida is a new and standard living apartments.Panchsheel Pratishtha residential project developed by Panchsheel Group. It’s offering 2/3 BHk residential apartments at an affordable price. 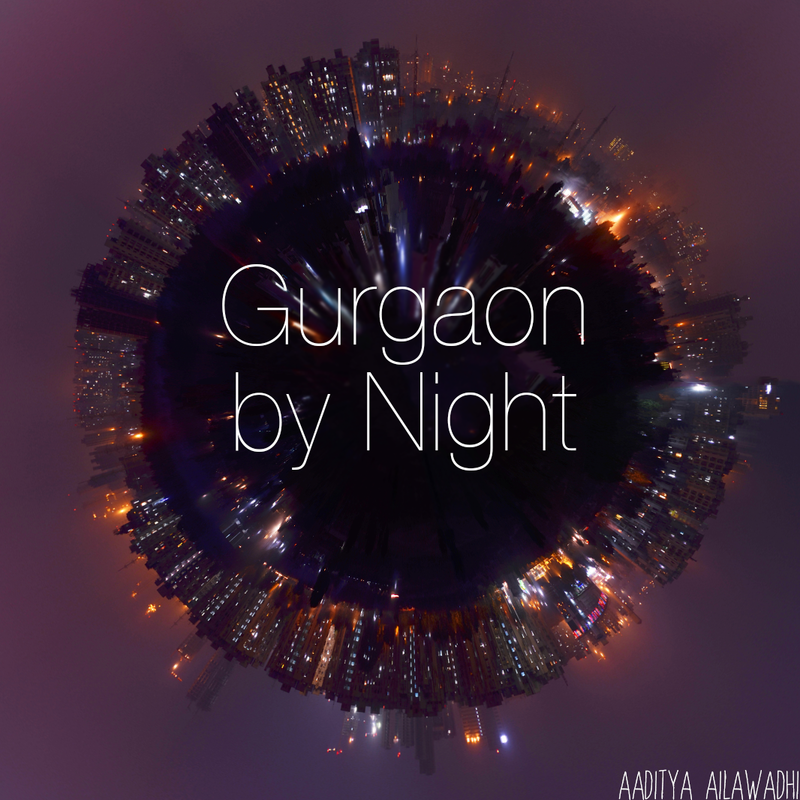 This modern housing society is to be developed at a very prime location of Sector 75 Noida.